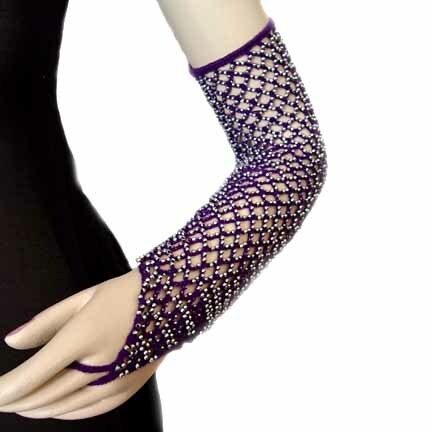 Pair of Hand Knitted Crochet Sleeves lends great elegance to the Dancers Costume. Extends from the palm of the hand to the elbow. It is 17 inches long and stretches both ways for a comfortable fit.